As the challenges facing our communities grow deeper and more complex, we require innovative solutions that are effective and scalable. And although we have embraced the importance of innovation in technology and STEM fields, these sectors- even if fully developed- will not be enough to address the full scope of humanitarian need. Clearly, we must expand our focus on innovation and problem solving to include all fields and disciplines that touch our communities, especially those most vulnerable. And while specialization is of course necessary to prepare individuals for specific fields, we would benefit greatly from professionals who embody a holistic commitment and readiness to contribute to the greater good. By visioning this general learner profile and unpacking the associated attributes we can allow for diverse and specialized preparation programs while at the same time working toward a shared vision and goals. Through my own professional and community efforts I have developed a profile that I refer to as “adaptive agency.” This incorporates the Piagetian notion of adaptation that speaks to the dynamic nature of learning through interacting with one’s environment and making successive refinements to existing schemas; and also the notion of agency that speaks to one’s sense of competency and empowerment to make meaningful change. If you agree that we need individuals across all fields and disciplines with high levels of adaptive agency, then the following component skills and dispositions must be cultivated. Although certain civic and service-based organizations, especially Rotary, celebrate and support adaptive agency, the profile is neither widely embraced nor actively cultivated through our current education systems- both at the Prek-12 and higher education levels. If we are serious about reaping the benefits of adaptive agency, then we must start young. School-aged children are enthusiastic, empathic, and notoriously confident in terms of their skills and abilities to be successful. And as they become older and more cognitively sophisticated they can incorporate agency within academic and professional paradigms as well as experiential learning opportunities. To be clear, cultivating and even measuring adaptive agency (or some variation of the construct) is in no way difficult or costly, nor would it present any systemic challenges that could not be overcome. The only real obstacle is getting leaders to recognize the importance of agency and innovation within the broad contexts of community development and sustainability and the need to cultivate the necessary skills and dispositions. Perhaps organizations such as Rotary that already understand the importance and potential impact of adaptive agency can emerge as catalysts for the broader conversation. Doing so would in turn increase our own adaptive agency as Rotarians. There are not enough jobs. Despite workforce development programs, re-education efforts, and reported growth sectors, there are simply not enough meaningful opportunities for all who seek them. I am painfully aware of this fact, especially when I help individuals apply for jobs. As we tighten their resume and reframe their experiences, we are in essence trying to win opportunities from others who are equally deserving. This notion of competition for limited opportunities serves as the very foundation of the job market and the pipelines that feed it. It’s a notion that is inherently self-limiting. When I play my favorite game of imagining the best case scenario, in this case every job that is posted in the local employment ads filled, and ask myself whether it would be enough, the answer is a resounding no. Through the lens of community development our situation becomes even more frustrating. The existing space of job openings is neither necessarily nor sufficiently tied to strengthening our communities. And so while we are trying unsuccessfully to tackle one problem- underemployment- we are ignoring the deeper and more systemic problems of community development and sustainability. We need to expand the jobs space. There is no other way. We need to create new opportunities for people to contribute and earn. But ideally, many of these new opportunities should have positive impacts on the community- by design. We can expand space by building new models that make services accessible to the public, while also creating awareness and interest in their value- thus expanding the market. There are many examples of services that are ripe for expansion. Mediation, the healing professions, consulting- all process related services that help individuals and organizations function at their best toward the greatest impact. And although practitioners exist within our communities, they are currently competing for a very limited audience that recognizes the value and can pay for their services. But by educating and promoting the value, by coming together to form workshops, consortia, and well promoted events, we can actually create more spaces and opportunities for jobs, providers, and variations to emerge. You can see this trend in the world of education where consultants and specialists can help with virtually any aspect of curriculum design, support, or reform. Since schools and districts can pay for these services through grants and other available funding sources, a rich market of vendors has emerged, expanding the space for new providers and paradigms. Once a market is established growth and diversification will come. Every day, I meet talented individuals ready to work and contribute to their communities but unsure how to find their way. The fact that most of these individuals are women suggests a unique opportunity for new models to be developed and customized. Can these services make money and create jobs? Absolutely. But they can also result in stronger and healthier communities that value the contributions and wellbeing of all their citizens. Clearly, this is a new frontier worth exploring. And yet I am a Rotarian, and amazingly, a very enthusiastic and proud one. What draws me to Rotary? For me, it’s the system- a system that is remarkably robust and nimble, organized entirely around the notion of service above self, a mission that is both powerful and unifying. All layers of the Rotary system- from clubs, to districts and zones, to Rotary International, and the Rotary Foundation- are designed to amplify and leverage the contributions of individual Rotarians toward the greatest impact. To be clear, Rotary is not a panacea, nor is it perfect in its current manifestations. A tour of Rotary clubs will reveal surprising variability, with some clinging to tradition at the cost of relevance, and diversity uneven at best (and often much worse). And you will quickly learn that women have only been officially accepted since 1987, with no woman serving as president of Rotary International to date. From an infrastructure standpoint it is both lean and transparent. Leaders serve one-year terms with no financial or political benefits. Unlike the PreK-16 education system, Rotary it is truly a pipeline with programs focused on youth, young professionals, and adults who can contribute well into their senior years. This is perhaps my favorite aspect of the Rotary system. Despite its size, complexity and dynamic nature it is inherently elegant and nimble- able to flex and pivot with the changing needs of the world. And like any robust system, it must also continue to attract members who seek the experiences it affords. HITTING THE WALL how can you grow when there’s nowhere left to go? February 17, 2014 by mbhuber2013Leave a Comment on HITTING THE WALL how can you grow when there’s nowhere left to go? The realization that you’re stuck- really stuck- can be destructive on many levels. It can impact your health and wellbeing and relationships while jeopardizing the security of your current position. And since growth is best approached from a place of strength and stability, a downward spiral is the last thing you need. But what can you do when you’re up against a wall, committed to your growth but stuck with nowhere to go? I’m going to offer a suggestion that may seem completely out there, but please read me out. I strongly recommend that you stop focusing on your job and instead explore growth from a higher level. Chances are you’ve been focusing on the particulars of your current situation, perhaps the roles and duties that you’re assigned or your interactions with your supervisor or colleagues. These details have been pulling you down into the weeds (see my posts “Get Out of Your Way” or “Growth Happens Up Here”) and away from the upward movement you are seeking. So my suggestion is that you do the opposite by embracing a lens that is much more expansive and upward focusing. I would suggest something with a spiritual or metaphysical bent if you’re open to it (I have come to love Paulo Coelho or Caroline Myss’s books for this purpose), or if not perhaps a holistic wellness approach. Find something or someone who speaks to you and set some goals that are empowering with some broader spiritual, humanitarian, or world lens. Meanwhile, set some new goals for your current position. While you wait for the right opportunity to develop, try to strengthen your relationships, learn something new, or change the way people view you. Perhaps emphasize becoming a team player, a positive influence, or someone who always finds ways to contribute. But most importantly, while you’re exploring your own development, explain to yourself that you’re not giving up. Instead of compromising your commitment to growth, you are simply facilitating it from another angle. You see, one of our most critical errors in problem solving is perseverating on a solution or set of solutions even when they clearly aren’t working. One of the best ways to get out of this pattern is to free yourself completely from the solution set and take an entirely different approach, ideally one with no shared assumptions or negative associations. As someone who has intimately experienced the impacts of hitting the wall as well as rising above it, I can assure you that the only viable escape route is up. Before I became a wife and mother I was told that if I did my job really well, no one would even know that I was doing it. By sensing the imbalances and needs of my family, I would smooth out the tensions and serve as the glue that would hold everyone together. To be happy, I would have to find satisfaction in the knowledge that I was effective, and not rely on external appreciation or accolades that were unreliable, at best. As a young woman I accepted this advice as truth and began my silent and largely invisible service as a steward of family harmony. 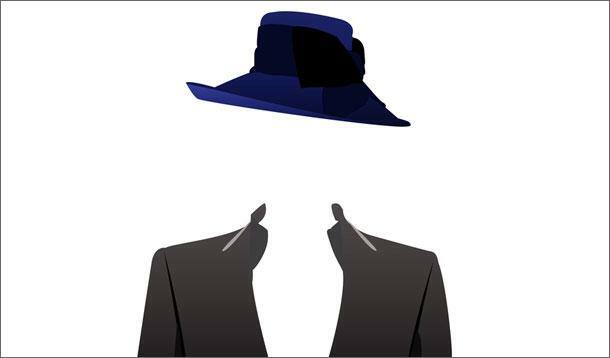 And after leaving an assistant professor position for something more family friendly, my contributions as a professional staff member quickly began to feel shadowy and unseen. And once again while I knew I was highly effective, I quickly became invisible to the (largely male) leadership surrounding me. Between the worlds of vision and coordination are layers of process and implementation that serve as the life blood of organizations and programs. They are fed by teams of competent and talented professionals who are able to flex and pivot, applying their skills to constantly changing contexts and environments often with little direction or support. These individuals -often women- serve as the proverbial glue, ensuring stability and balance even in the face of uncertainty and dysfunction. As a seasoned veteran I have learned to survive – and perhaps even thrive- in this environment. Despite a constantly changing landscape and cast of players, I am able to reframe my goals and leverage my relationships, weathering uncertainty and providing myself with the clarity that I need. But when I look at the young professionals around me I have a growing concern about their invisible status and the implications for both their growth and well being. Because leadership is often unaware of staff’s talents, contributions, and the critical role that they play within the larger context, they are left virtually unprotected and vulnerable. And as institutions struggle to remain competitive and viable, strategic goals and targets begin to substitute for mission and vision, with all individuals becoming disposable- especially those who are unseen. As someone who is watching this scenario unfold I can tell you that it’s alarming on a number of levels. For the individual it can be devastating- threatening one’s self-esteem and sense of identity and self. But for the institutions that they silently serve, the implications are even more profound. When these individuals become dejected, or even worse eliminated, the culture and outputs of the organization are weakened and lessened with little chance of redress or remediation. Clearly, it is time to bring these invisible professionals and their work- our work- into the light. For those of us lucky enough to have security and perspective, our responsibility is even more pronounced. We must find our voices and the skills to demonstrate our value and the roles that we can play, creating new spaces and new opportunities for professionals to make their contributions and help us achieve harmony and impacts as well as success. When I look back at the advice given to me so long ago, I now know that it was both dated and incomplete, attached to old-fashioned models that have proven neither sustainable nor fulfilling. It is time for us to finally emerge from the shadows, owning our impact and supporting one another as a true community of professionals. You have so much to offer and you’re ready to share your talents with the world. You’ve made countless investments- education, soul searching, sweat equity- and you’re committed to making a change. But it doesn’t come. I have seen too many strong and capable professionals self-destruct as they wait for the right opportunity to emerge. The more they refocus on their growth the more frustrated they become, in turn amplifying the flaws of their current situation. 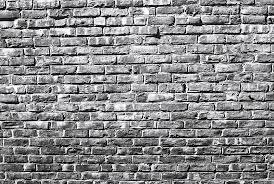 What was once tolerable if not satisfying quickly becomes toxic and unsustainable as the walls start to close in around them. By the time they find me they’re often in a state of panic and focus almost entirely on themselves and the urgency of their situations. What I tell them often comes as a surprise. Even though you are ready to grow and have a greater impact, your hyper-focus on yourself is pulling you down rather than up. When opportunities fail to emerge, our fear responses kick in- self-doubt, panic, anger- we all have our unique variations, but the results are seldom the growth that we crave. Growth comes from utilizing our gifts and talents toward some impact, something bigger and broader than ourselves. It’s actually a sense of impact that allows us to grow. But how can you grow and have an impact when you are dissatisfied with your current position and desperate for change? It may seem like a puzzle that is impossible to solve. Yet the solution is quite simple. Focus on your intended impact instead of yourself. What is the impact that you are seeking? Is there a particular population you want to serve? What contribution are you longing to make, to whom, and in what context? 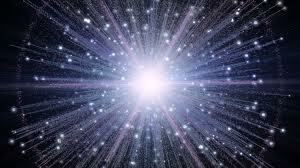 Once you have clarified your intended impacts then get close to them and the work. Read articles, volunteer, ask to meet with people and listen to all that they have to offer. Seek out opportunities to build relationships and get involved- even if it seems unrelated to your job search. The funny thing is that as you get closer to the people you want to serve or the work that you hope to do, you will begin to find ways to add value, building credibility, relationships, and impacts along the way. This is when movement will start to happen. But even then you may find it necessary to remain in your current position, at least until opportunities develop. Chances are, however, your situation will begin to feel less toxic and ideally you may be able to find ways to grow and contribute until the right opportunity develops. But beware, growth is a funny thing. As soon as you shift your focus away from your impacts and back to yourself, you will feel the familiar tug of fear starting to pull you back down. So whatever you do, even when movement starts to happen, remember to stay out of your way! Perhaps our lives are like tapestries that weave themselves both forward and back. 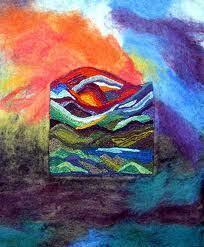 Our experiences are the threads that add color and texture but only gain meaning once their patterns have emerged. If our lives are like tapestries, then narratives feature prominently in their designs. Narratives are the stories that reveal themselves as truths, framing the way we view ourselves and others, shaping our decisions and conclusions and how we engage with the world. We see ourselves as heroes, underdogs or warriors and others as friends, lovers, or enemies, along with myriad variations of stories and themes that emerge and reemerge throughout our lives. Our narratives come from many sources. We infer them from our families, the media, and our own experiences as we extract principles and patterns that seem to hold true. Some have suggested that our narratives are rooted in our distant past through a collective unconscious or sacred contracts that proceed our births. But regardless of their origins, our narratives become quite powerful once they are established, acting as lenses through which we interpret experiences and determine our actions. Although many of our narratives are positive we are often most aware of those that are restrictive or negatively charged. Stories about being a failure, a victim, or a fool can take on such a heightened level of prominence that they become perpetually primed, tainting all experiences that they touch. It’s not surprising that when we finally decide to reinvent ourselves, we often focus on creating entirely new narratives independent of those that have previously dragged us down. And while the work of starting anew can feel both invigorating and transformative, we quickly feel the familiar tug of our old narratives as they begin to undermine our growth and threaten to pull us back down. For in our haste to distance ourselves from the past, we fail to sufficiently anchor our new narratives in our life tapestries, believing that they will weave themselves forward creating new designs that are both beautiful and strong. In doing so we underestimate the depth of our existing patterns and the myriad threads that both nourish and sustain them. In moments of weakness or self-doubt our old patterns become reinvigorated and quickly infiltrate our new designs, blurring their boundaries and threatening their significance. Ironically, our best opportunities for reinvention are those that allow us to reweave our existing details and experiences into new designs. By adding nuances, subtleties, and complexities atop existing patterns, we can create additional layers of richness that build on our past designs rather than competing with them. Within the context of our careers this can mean cultivating new areas of expertise, audiences, or perspectives or perhaps a completely different approach to what we have done or seen. Although growth is always profound in its effects, it often emerges from subtle variations and tones. So as we contemplate our reinvention we should pause to appreciate the richness of our existing tapestries on which we can build. From the very beginning we move. In the womb our tiny bodies flex and somersault, limbering for the journey of birth. The first months brings dizzying development- cries and sucking blur into grasps, rolls, and sitting, as we will ourselves into motion, crawling, scooting, dragging our tiny bodies forward. 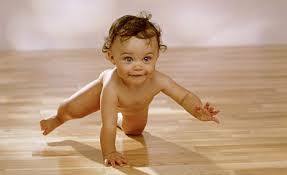 For babies movement is everything. It is the vehicle for exploration, learning, and discovery. It is the pathway to success. For infants success is pure and gratification immediate. The desire to do it again and again is the catalyst for growth. Inch by inch we wiggle forward, making microscopic corrections and enhancements, amassing an increasingly sophisticated repertoire of skills and strategies. Many have studied this dance of development- the constant interplay between internal and external that moves infants forward toward the finish-line of maturity. To me this end point has always seemed anti-climactic, the swirling whirling movement of childhood slowing to a screeching halt once adulthood is reached. Of course the lure of permanence is undeniable- we seek security from our jobs and commitment from our partners. But once they are attained, we settle into a routine, weathering uncertainty and staying the course. And somewhere along the way we get stuck. Like car wheels spinning in the snow we try desperately to gain traction, even as our ruts grow ever deeper. We fantasize about sweeping changes that will propel us into motion- the perfect job, soul mate, or material things that will smooth the complexities and restore the youthful joy that lies within. And while a few brave souls take the plunge into the great unknown, most of us just wait. We wait for life to calm down, for opportunities to present themselves, we wait for Happiness to track us down and tap us on the shoulder with her fairy tale wand. But maybe like me, you’re tired of waiting yet unwilling to throw it all out and start over again. I am pleased to present a third option, a process for creating movement that emanates from within. This movement may be quite different from what you’re used to. It’s not a tumultuous and churning kind, filled with peaks and valleys, thrashing you about like a tempest or taking you for an uncertain ride. This movement is controlled and steady- a gentle current that propels you forward while protecting you from the wild waters that rage beyond. Interested in learning more? 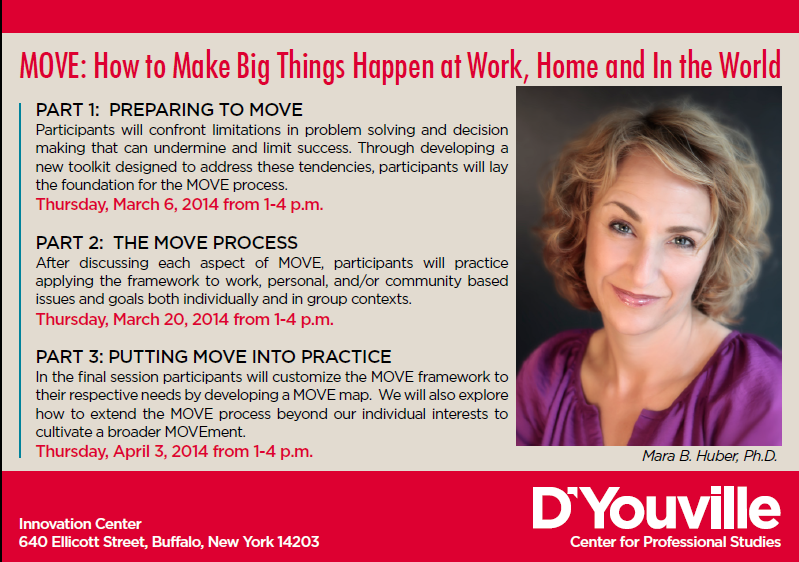 Please join me for a 3-part workshop series that will introduce my MOVE framework which can be applied to virtually any aspect of your life or work. In addition to sharing new tools and strategies, we will spend time developing customized maps that will set the course for your future growth and movement. Hope to see you there. Please follow the link below for additional details and registration info. February 5, 2014 January 12, 2019 by mbhuber2013Leave a Comment on 5 Years of Buffalo in Tanzania- Who would have thought? Just two weeks ago we welcomed home a class of UB undergraduates who had traveled to the Mara Region of Tanzania as part of a new Winter Session study-abroad course. While the students returned with new perspectives on community development and memories to last a lifetime, the course represented an exciting milestone for our BTEP (Buffalo Tanzania Education Project) community, a welcome achievement as we celebrate our fifth anniversary. 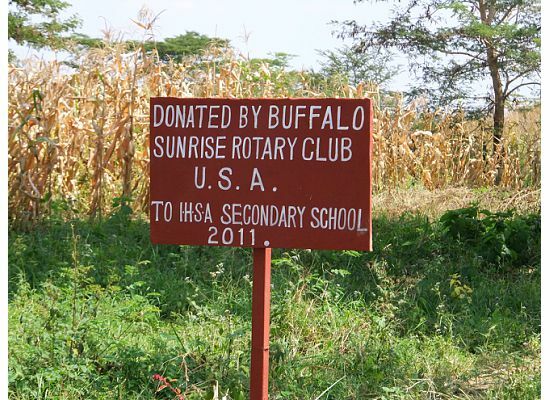 If you haven’t heard of the Buffalo Tanzania Education Project, you are unfortunately not alone. With no budget, no formal infrastructure, no official presence or identity, we have evolved almost entirely under the radar. And yet, at least in my view, BTEP represents a wonderfully exciting engagement initiative worthy of attention and exploration. The premise for BTEP is simple yet powerful. By coming together around a shared vision with clearly articulated goals and areas of focus, we can leverage our individual engagement efforts toward greater impact and sustainability. 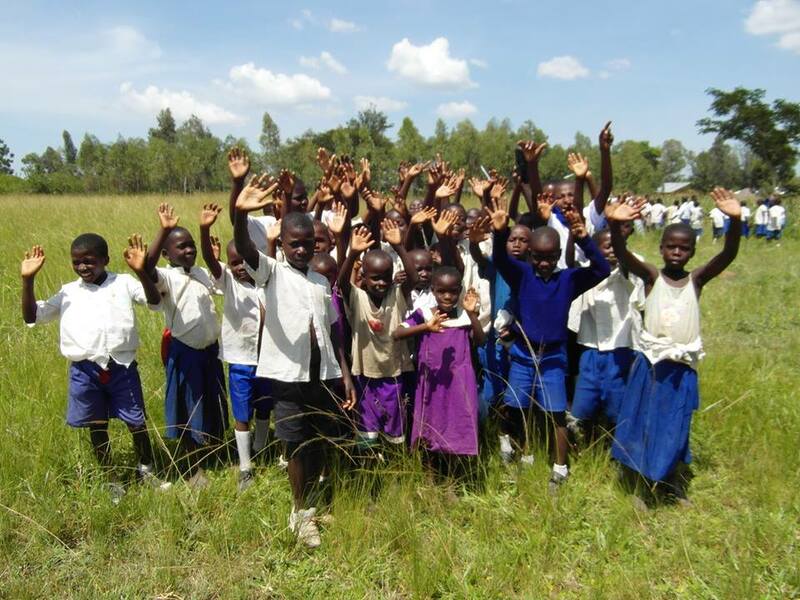 BTEP’s efforts have focused primarily on the children and women of Tanzania, and specifically on an evolving school project in the village of Kitenga. To be clear, we didn’t actually select this community nor were we actively seeking partners for collaboration. Instead, our partners- the Immaculate Heart Sisters of Africa (IHSA)- found us. Our investments have been small but significant. In 2009 we traveled to Mara and thanks to Kevin Crosby were able to create a video (see kitenga.wikia.com) to help attract contributors and frame our approach. 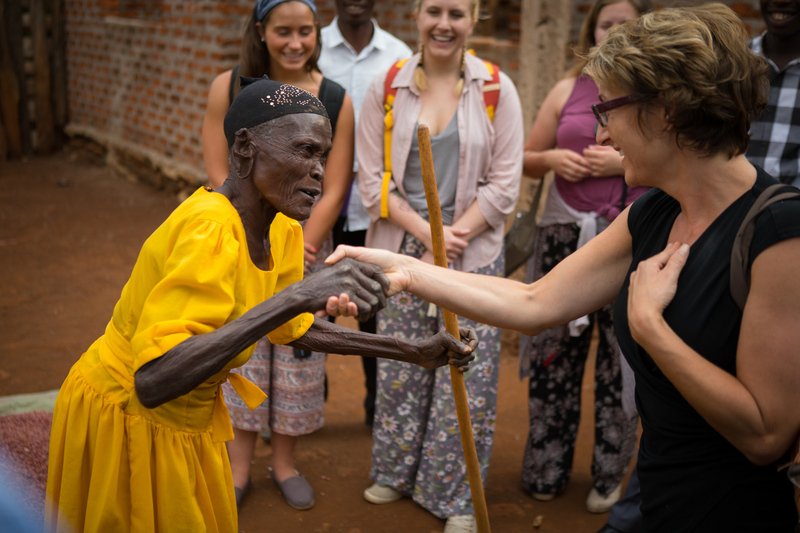 Realizing the importance of getting close to our partnering community, we have facilitated group visits with over 40 members traveling to Tanzania- all at their own expense- to learn, study, serve and contribute. We have welcomed researchers, students, community members and organizations, insisting only that individual projects are championed by BTEP members, thus avoiding the need for administration, budgetary involvement, or official oversight. And while in the beginning we were able to provide more extensive facilitation and support, our coordination is now limited to convening occasional BTEP meetings and fundraisers. Our impact to date? From a fundraising standpoint it’s been modest but significant. We have focused our efforts on supporting projects that were well within reach, bridging funding gaps to realize construction of classrooms for the Early Childhood program; the first block of classrooms for the Secondary School and the Dormitory (which is still under construction); a playground for the Early Childhood School; and a bore well and latrines. To be clear, there is still a long way to go toward opening the School, with construction costs continuing to escalate. The scale of fundraising is well beyond the capacity of BTEP, although many members have become heavily involved in related efforts with several creating a non-profit, Girls Education Collaborative (GEC), which continues to make significant steps toward the ultimate goal. As BTEP continues to evolve, members have begun to journey beyond Kitenga and Mara to build relationships and partnerships in new regions of the country. And while many Western New Yorkers have discovered Tanzania through their own avenues, they seem to eventually find BTEP in interesting and circuitous ways, helping to grow and shape our initiative beyond what we could have ever imagined. On Friday, March 7th we will come together for our 3rd BTEP fundraiser to support a number of education and development related projects in Kitenga, Lindi, and Arusha. The event will be held from 6:00 – 8:00 in Allen Hall on the UB South Campus. Tickets are $20 and $10 for students. Please contact me for additional information or to reserve tickets. I hope you will consider joining us and spreading the word about our exciting engagement initiative.